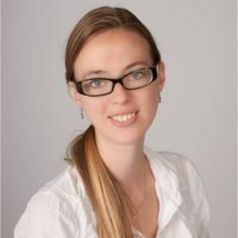 Madeline A. Lancaster received her PhD from the University of California, San Diego in 2009 where she worked in the laboratory of Professor Joseph Gleeson as a NIH Genetics Training grant fellow and ARCS scholar studying signaling in cilia during development and homeostasis. In 2010, she joined the laboratory of Jürgen Knoblich at IMBA, where she was awarded an EMBO postdoctoral fellowship and then a HHWF fellowship. She is currently a Marie Curie postdoctoral fellow working on differentiation of stem cells along the neural lineage.